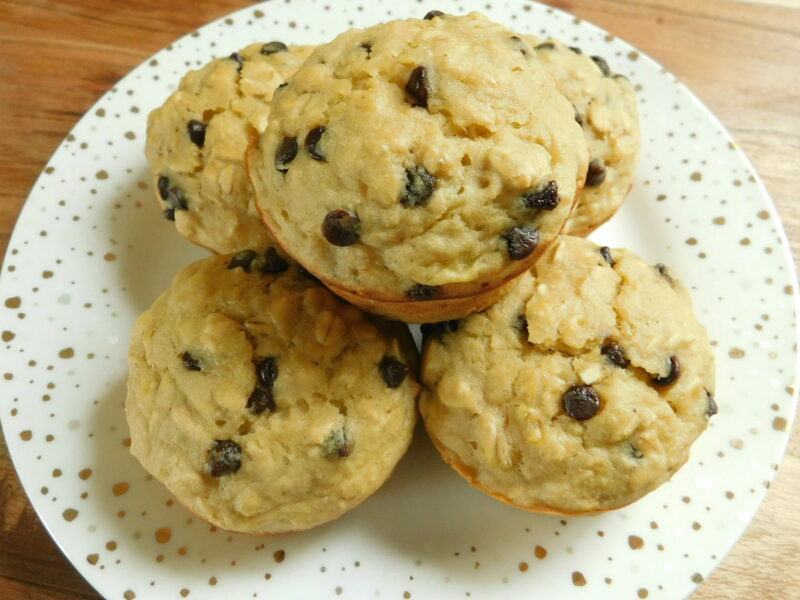 Oatmeal banana chocolate chip muffins - Drizzle Me Skinny!Drizzle Me Skinny! I was in a muffin baking kinda mood and I realized I didn’t have just a simple oatmeal chocolate chip banana muffin. 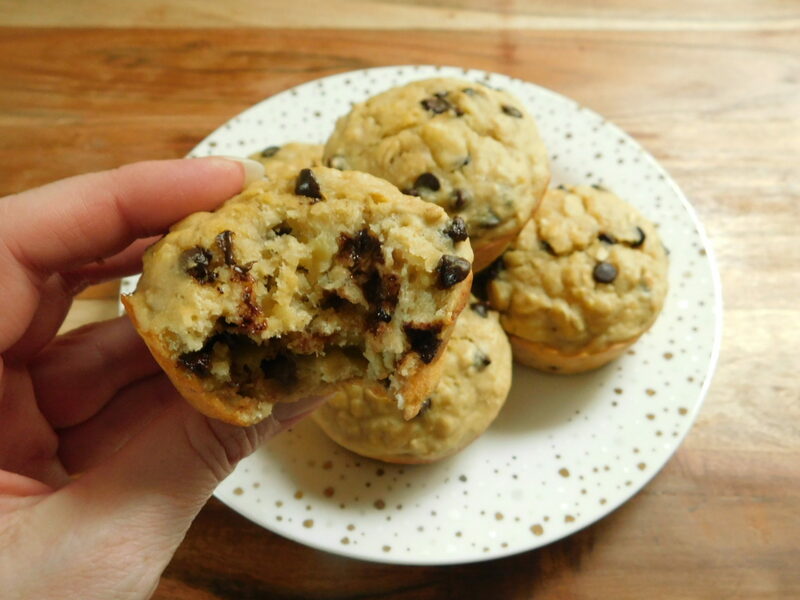 I was also in chocolate kinda mood haha and I wanted these muffins to be filled with chocolate chips, not have fewer chips than I can count on one hand 😉 These oatmeal chocolate banana muffins are delicious, big and fluffy and filled with lots of delicious chocolate with every bite! Makes 12 muffins at just 4 smart points each on WW freestyle. 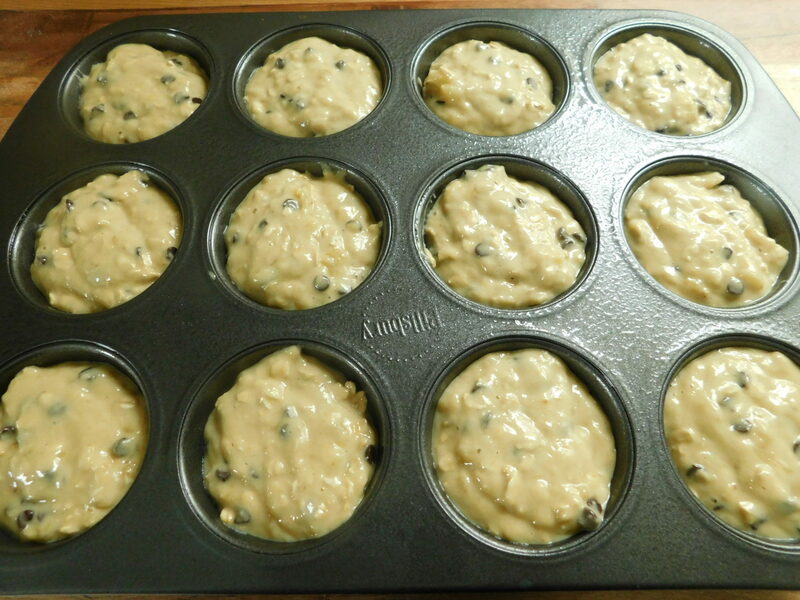 Preheat oven to 375F and spray a 12 hole regular muffin tin with some non stick spray. In a bowl whisk your eggs and brown sugar together. Add in apple sauce, mashed banana, milk and vanilla and mix well. 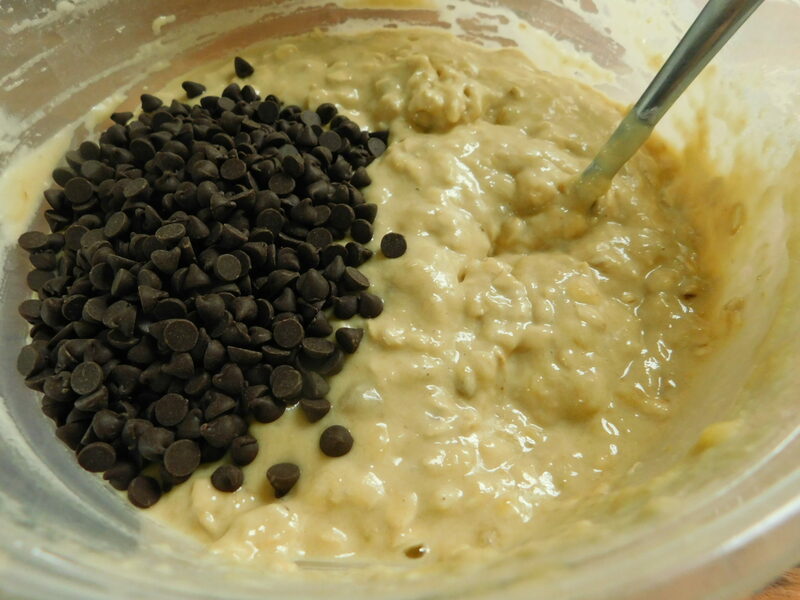 Stir in flour, oats and baking powder, fold in chocolate chips. 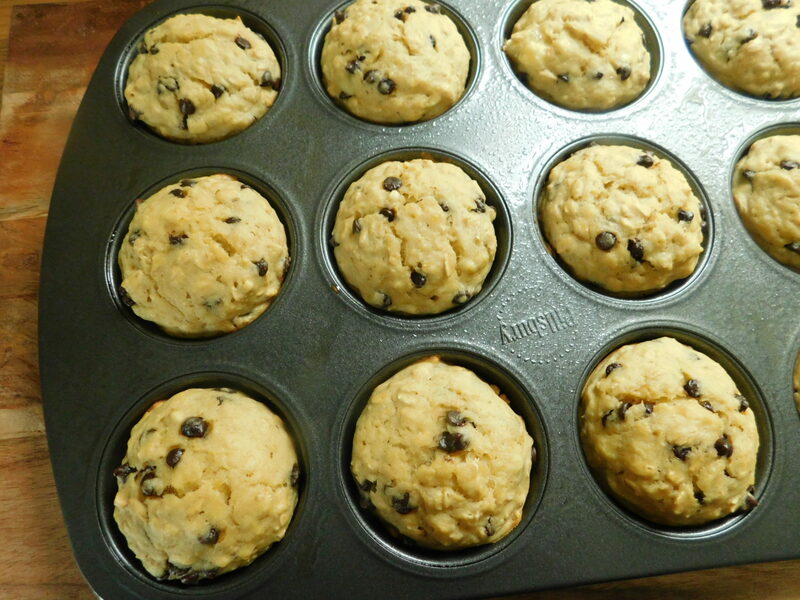 Divide batter evenly over your 12 muffin cups. 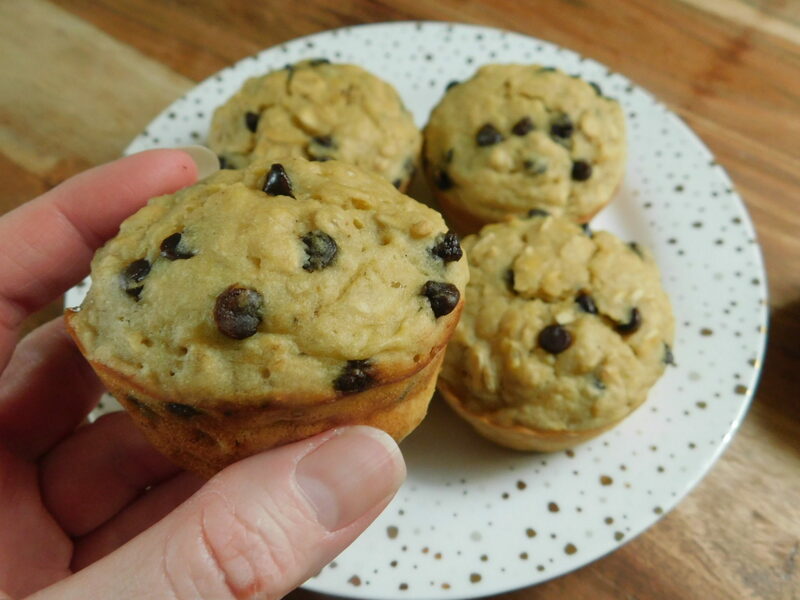 Bake in the oven for 18-20 minutes, makes 12 muffins at 4SP each, muffins will freeze well, store in a sealed container and best in the fridge after day 1. 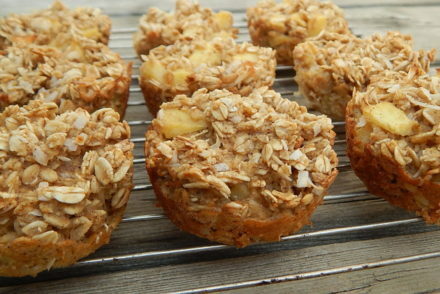 These sound scrumptious but dealing with banana allergy. Anything I could substtitute? How do you think these would work using Swerve brown sugar instead of regular brown sugar? 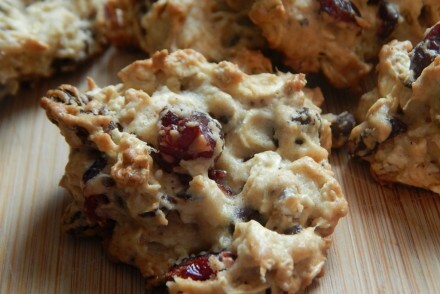 I made these today but replaced the chips with pecans (just because I don’t usually like fruit and chocolate together). They turned out amazing. Thank you for the recipe. These look like something my very picky teen might eat. Is there anything I could do to increase the protein? Thanks. I really enjoyed this recipe. It was just the right amount of sweet. Thanks! These are teen approved. I made them and they are almost gone now. It’s only been a day. 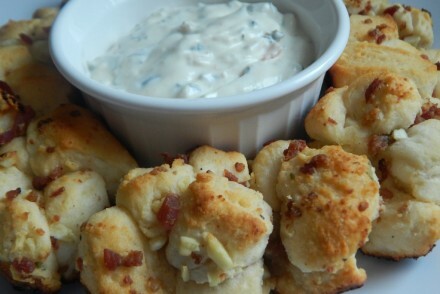 Great flavor and easy to make. I made this recipe (double batch) to use up the oatmeal that’s been sitting in the pantry and some bananas that turned too fast. I didn’t like it – I LOVED it. 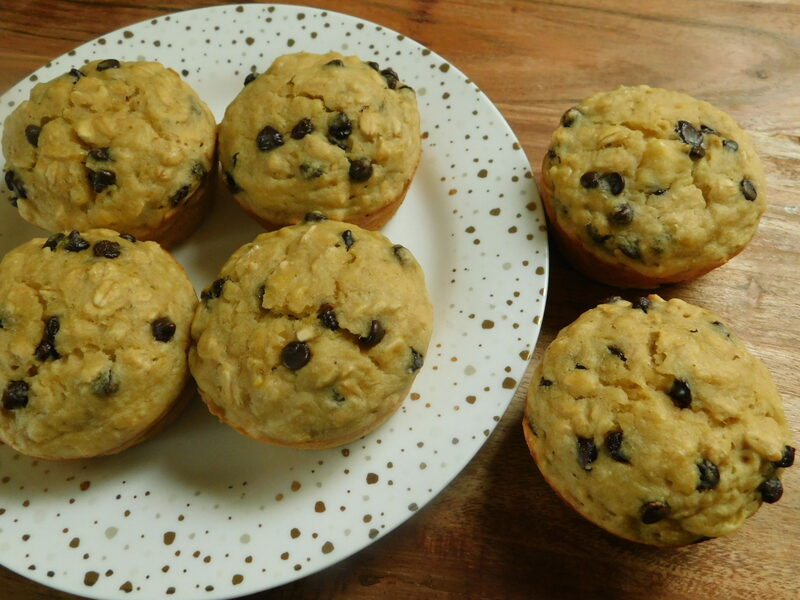 These muffins are delicious and taste just as good thawed from the freezer. I used (white) Splenda because we have a diabetic in the family and I can’t find the brown sugar variety; seriously delicious! Thanks Kate! I made these a few weeks ago. My husband has asked me to make more! I froze half of them and grab one for a quick snack before my exercise class or for a yummy late afternoon snack! Hi Lisa, so glad you both enjoyed them 🙂 they have easily become one of my favorites! Do you heat up or just defrost before eating?